While many rural areas struggle to promote and sustain healthy living, the County Home Complex located in Pitt County, North Carolina, has made tremendous strides in improving the health of its local community. 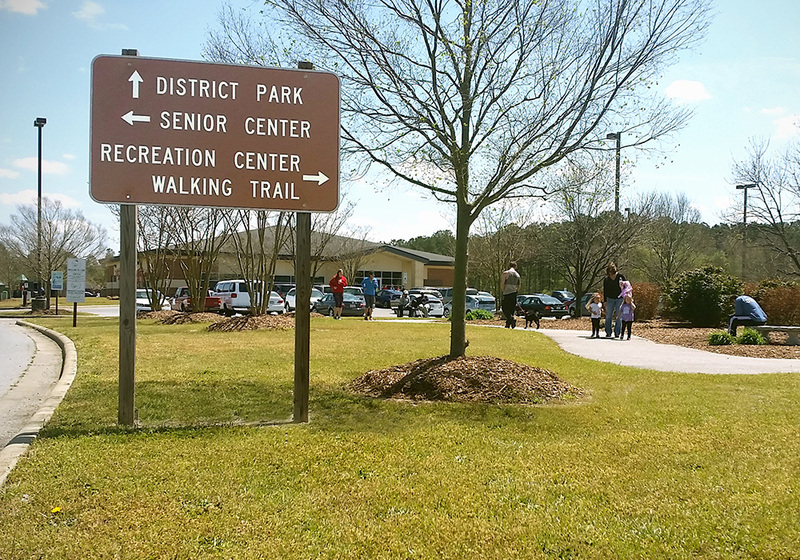 The complex has an array of facilities, services, and activities — all of which have the underlying theme of creating a sustainable, active, and safe public space for Pitt County residents and visitors alike. From the very beginnings of the complex, Pitt County planners recognized the need for a facility that could provide health and wellness to their community. Through vision and resourcefulness in using the assets at their disposal, the plan for what would become the 100-plus acre County Home Complex was born. Children grow their own fruits and vegetables and learn the benefits of healthy eating in the Making Pitt Fit Community Garden. This garden includes a welcome flower garden, children's garden, and 90 rental plots for citizens. Photo courtesy Tracy B. Cash, Pitt County Planning Department. Anchored by the Alice F. Keene District Park, which features football, soccer, and softball fields, a 2.25-mile trail, as well as two playgrounds, the ample opportunities for recreation are matched by the fresh and healthy food choices on display at the Leroy James Farmers' Market. 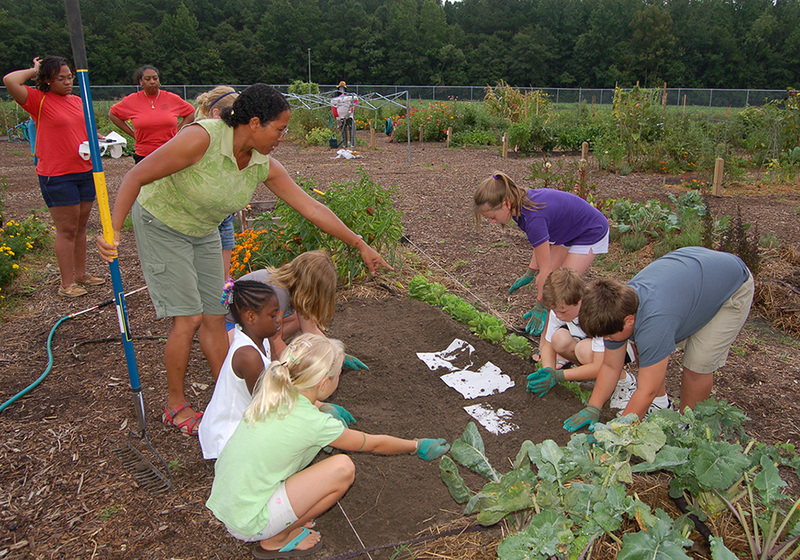 These facilities, plus educational and recreational programs, a children's garden, community garden, and 90 additional garden plots rented to residents for a small fee all come together to promote health in the community. The County Home Complex has also become a much-needed public meeting space for the rural community. Acclaimed for being truly inter-generational, the complex has a senior center, two elementary schools, and an animal shelter which is often visited by nearby East Carolina University students. Deepening the sense of community, the Eastern Carolina Village & Farm Museum helps residents appreciate their roots and the rich history of Pitt County. Rural planning can be particularly challenging, especially when it comes to fostering a public space that is used consistently and benefits an entire constituency. Pitt County planners have accomplished precisely that by creating the County Home Complex, which will continue to build a more close-knit and healthy community for decades to come. 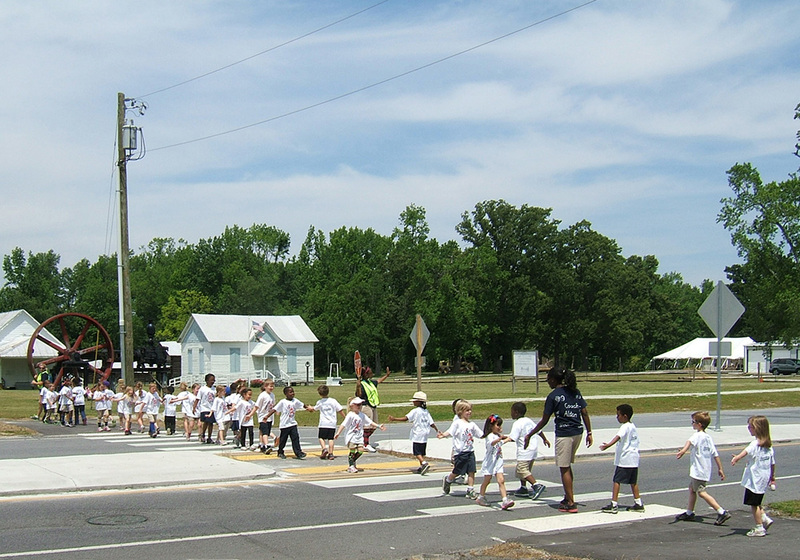 Through the collaborative efforts of partners in the complex, along with the Vidant Medical Center Foundation and department of transportation, east and west sides of the complex are connected by one of the first "rural" crosswalks in the state. Photo courtesy Tracy B. Cash, Pitt County Planning Department. In late 2017, the County Home Complex celebrated the opening of its first nature trail, which expanded a 1.2-mile asphalt trail. Both trails connect with the Greenville Greenway Plan, ensuring connectivity with the surrounding neighborhoods. In an effort to further increase the area's accessibility, there are plans to soon extend public transportation services to the complex. The complex features one of the first "rural crosswalks" in the entire state, which provides a safe way to cross the busy County Home Road so visitors can enjoy the amenities found on both the west and east sides of the throughway. The County Home Complex can be found along a one-mile stretch of County Home Road, just south of Fire Tower Road in the Bells Fork area of Greenville, North Carolina. Citizens of all ages enjoy a walk on the 1.2-mile asphalt trail that meanders through open spaces and woodlands. Benches and gardens along the trail provide a place to sit and reflect, chat with a friend, or relax while watching a game. Photo courtesy Tracy B. Cash, Pitt County Planning Department.